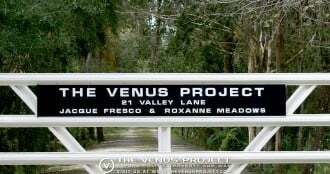 The Venus Project is now in the process of designing and developing a major physical construction project known as the Center for Resource Management. This project is a significant undertaking, and it will serve as a stepping stone towards the realization of our proposed first experimental city, and a network of cities that follow. Making the Center for Resource Management a reality will require very substantial resources and support. That is why we have decided to put together a volunteer team that will systematically pursue multiple opportunities to get the necessary support to realize this project.